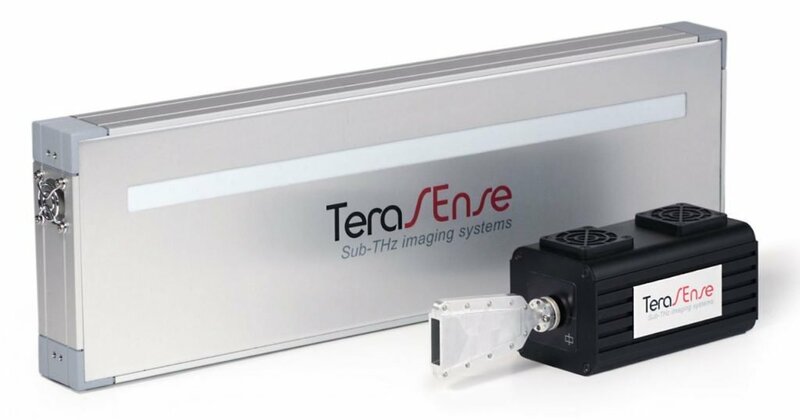 Terasense team strongly believe in great potential of terahertz imaging, which stands to reason as we sell terahertz imaging cameras and sources, after all. Either prompted by our customers or partners or through our own initiative we continue testing various materials in search of the new suitable applications for our THz imaging systems. 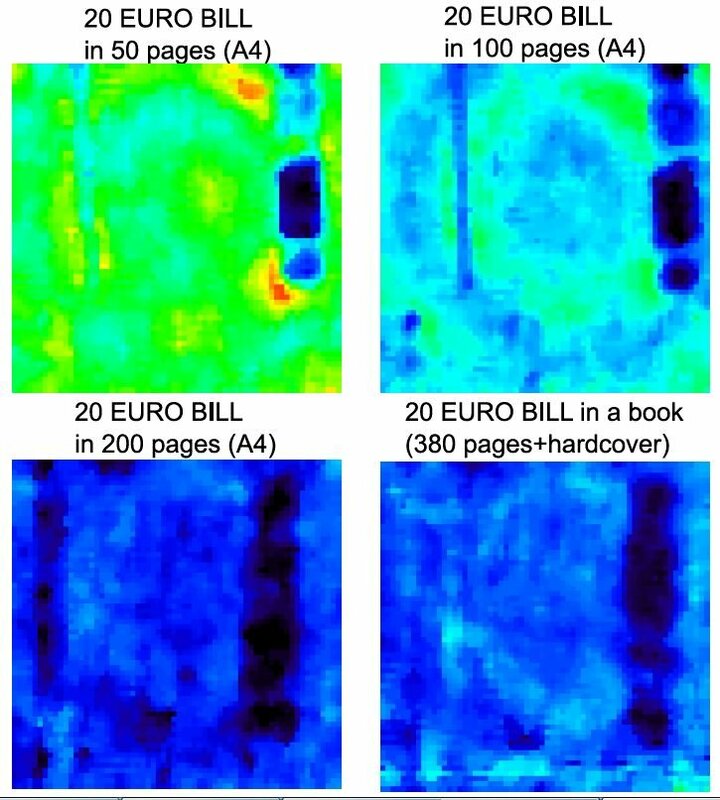 Our experts conducted recently a small imaging test aimed at detecting money banknote inside of book. Below we would like to briefly share results and show you some THz images. 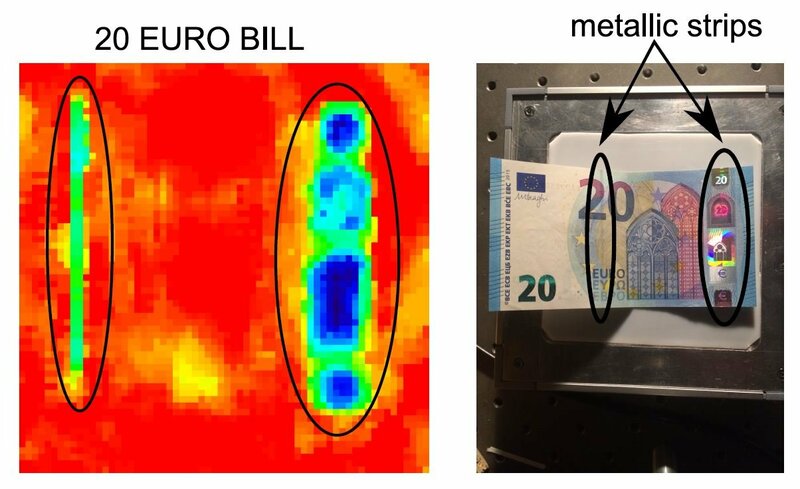 For this test we used EURO (€) banknote as sample paper money. In fact it does not really matter and EURO bill is just as good as US dollars ($) bill or any other money. Of course, such test would call for the use of our TeraFAST-imaging scanner, our flagship product designed for industrial applications. But our own in-house imaging scanner system was not available at the moment of testing , so we decided to make do with the available THz setup consisting of Tera-4096 (64x64 pixels) THz camera and IMPATT diode at 100 GHz. As you can see, THz camera cannot render terahertz image of the whole paper banknote. However, every kind of paper money has special metalized elements (strips) embedded in the paper of banknotes (as a protection against currency counterfeiting). These metalized elements absorb THz light and create good contrast in THz image, which makes detection possible. Below are THz images made with paper money inserted in books of different thickness. Our exerts used regular paper (for printer) and books. Paper of the book pages is of lower quality (it is thinner), therefore THz picture corresponds to aprx 200 pages. Our experts are absolutely confident that our most enhanced TeraFAST-imaging scanner system (shown here) will ensure better quality of THz image, especially if used in combination with our upgraded type-II THz generator a that feature novel flat horn and metallic reflective optics. Please do not hesitate to ask your questions and we will happy to answer them.